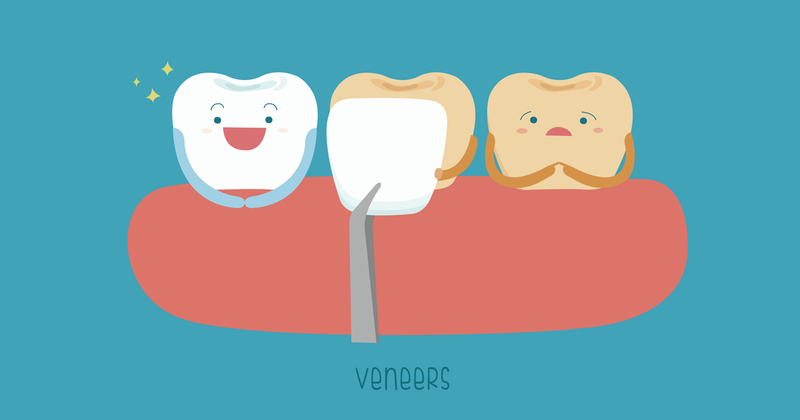 Will Veneers Put a Smile on Your Face? If you’re unhappy or unconfident about your teeth, then veneers may make you smile. Discover how this dental treatment can make you feel good and look great. Have you heard about dental veneers? They are a kind of cosmetic dentistry where a dentist covers a tooth with a thin layer of tooth-colored material to enhance its appearance, function, and strength. They can be used to correct many issues including eroded tooth enamel, poor tooth alignment, chips, fractures, and stains. And they can make your teeth whiter, brighter, straighter, and stronger. Many people assume that veneers are the same as crowns, but that’s simply not the case. Veneers are much more durable and create more aesthetically pleasing results. Plus, veneers don’t require the removal of tooth structure, as crowns typically do. How do you know if veneers or crowns are best for you? Talk to your dentist and keep in mind that how much individual veneers cost can vary based on the material used and the application process. Veneers can be made out of composite resin or porcelain. They can also be created indirectly or directly. If you elect to get indirect veneers, then composite resin or porcelain is used to create your veneers in a dental laboratory, and they are later applied to your teeth. In contrast, direct composite resin veneers are formed on your teeth directly by your dentist. For more serious dental issues, porcelain veneers are preferred. But if you have more minor dental problems or you are concerned about what veneers cost, then composite resin veneers are a great choice for you. Your dentist in Virginia can advise you on the right treatment for your teeth.